Aaron, I found your card in my door yesterday when I returned from an errand. I'm sorry I missed you. I would have enjoyed having a chance to tell you about my impressions/experience in dealing with your companies services. First, Amy, my project manager and first person from your company whom I came in contact with, is wonderful, very professional, knowledgeable, and helpful. She made me realize that having our repairs accomplished by your company would be a clear advantage over other contractors. She made me feel very comfortable that the work would be done to my expectations and that any problems would be taken care of quickly and efficiently. It really made a huge difference. In addition, when I requested the work be delayed due to a family wedding and guest staying at our house, she was very understanding and accommodating. If more companies had employees who were as customer oriented as Amy they would blow the competition away, as I'm sure you are doing. Next, I would like to compliment the roofing crew who did our repairs. I knew when I first set eyes upon them that this was going to be a good experience. Their equipment was clean and organized. Their matching shirts, with your logo set the right expectation and in speaking with them, they were polite. During the entire day, while they worked, the job site was kept neat and clean. With all the work going on in our neighborhood, I can assure you this isn't usually the case, so this was impressive. Finally, when they finished, the workmanship looks very professional and you can't even tell they were here. My yard, shrubs, driveway and surroundings are spotless. Well, we are only about half way into the total repairs, with the siding and guttering left to do, but I have to let you know my first impressions of your company reflect your high standards and keen ability to attract and keep quality employees. Well Done! Thank you! I am writing this letter to strongly recommend your company to others to use for their roof replacement needs. The combination of strong customer service, proactive communication, and strong performance to plan against a tough installation schedule made for an excellent experience; an experience worthy of consideration for your roofing and other contracting projects. I was very skeptical of dealing with the numerous out of state roofing companies trying to quickly gain my business. I was looking for a local contractor with a strong background in storm damage repair that could honestly assess the repair required. I wanted my home to be repaired the right way, the first time, and in a timely manner (I had heard of other neighbors having lead times of several weeks to get their homes repaired). I have a very busy work schedule as well as many family commitments. I wanted a contractor that could work around my schedule and communicate via email as well as phone call to update me on progress to repair plans. I want the needed repairs to impact my pocketbook the least amount possible. A neighbor recommended this company based on the great work and customer service they provided for his home repair needs. A quick phone call was all it took for them to come out the next day to discuss my repair needs. They explained their vast experience in storm-related home repair, and walked me through the many options for repairing my home. After looking at my roof and siding, our Project Manager started asking about the rest of the home focusing on the interior. We noticed some water damage in my garage that I hadn't seen before, that we included on the supplemental claim. I'm glad that they took the time to do a comprehensive review of my home prior to working with my insurance company. They use the same computing system for managing insurance claims and estimates as my insurance company, so there were no issues with claim errors or lengthy processing times for paperwork. Once I received my co-signed insurance check from my mortgage company, they were at work on my roof within days (not weeks). I was kept up to date on progress to the repair schedule via email to both me and my wife (per our request). They finished up the work on our roof within a few days, and finished my garage water repair work within the next week. The entire team was very courteous and professional during the repair effort. I've seen other roofing companies have ten or more cars parked in driveways and along streets making lots of noise with conversations and radios; we only had a few cars and one trailer, and if they were using radios we couldn't hear them from inside the house. Best of all, they were able to work with us to complete all work on our home with little out of pocket. Our roof and garage look better than when we bought the home, and we were led through the repair effort as painless as possible. As far as having to deal with storm repair needs, it was a wonderful experience! Thank you again for your help in my roof replacement. 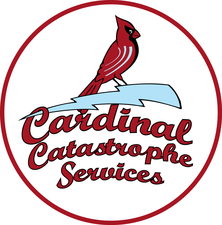 I would highly recommend Nashville Catastrophe's services in the future. From the very beginning, you demonstrated your expertise and commitment in working with my insurance company to ensure my needs were adequately met - especially in working with a difficult insurance adjuster. The new roof and gutters look great. Further, you were able to get the work done in a timely manner by also working around our available schedule. I am very pleased with the results. We appreciated the personal approach and upfront discussion about the process - and you proved to be right on with your assessment of our situation. Overall, you helped make a potentially daunting process rather painless and simple. Your company replaced my roof earlier this month. As you know, I had much debate over what company to use for this important project. After the hail storm there were so many contractors coming to my subdivision. It was difficult to know whom to trust. I must say that I am very happy with my decision to use your companies services. All of my questions were answered in a timely manner and my fears were put to rest. I believe I received a quality roof at a fair price. You worked with my insurance adjuster to ensure everything needing repaired was included. The workers on the job site were respectful, clean, and hard-working. The dumpster was removed as soon as the roof was finished. I appreciate that you and Aaron Specht personally visited my home numerous times during the actual project. I am writing this letter to highly recommend the expertise and competence displayed by Mr. Aaron Specht in the complete and exemplary repair of storm damage to my residence in Illinois. A damaging wind, rain, and hail storm in 2009 caused extensive damage to my residence. I contacted the agency recommended by my insurance company and Mr. Specht was dispatched to my house to ascertain the damage and required repairs. Mr. Specht handled in a most satisfactory manner all of the details involved in getting the damage evaluated by the insurance company and making arrangements for all of the damage to be repaired. The feelings and confidence of my wife and me were completely satisfied by the competent and detailed attention provided by Mr. Specht. Mr. Aaron Specht and his company will provide competent and reliable service on insurance restoration projects and I highly recommend his employment. I found your company through the Better Business Bureau, when a storm caused major damage to my house and garage. I requested an inspection and estimate for the repairs and was pleased to find their response to be professional and very quick. They guided me through the process from initial inspection, through the insurance claim, the product selection and installation, all the way to the completion of the project. Throughout the entire project all my question and concerns were answer quickly and completely. All phone calls and emails were returned promptly and they even helped me with some tips on dealing with the insurance and mortgage company. Their installation teams were incredibly fast, did very professional work and the cleanup at the end was done thoroughly and quickly as well. The owner of the company oversaw the project himself and was always available when I needed him. His entire team was going above and beyond to ensure my complete satisfaction and a quick completion of the repairs. Not only would I recommend them to all my family and friends, but we have already called and requested further quotes for other construction projects on my house. I really hope to be working with them again in the future. A great, honest, reliable team that has truly earned the high marks from me. I would highly recommend the services of Aaron Specht. I was pleased to have him do a new roof installation on my home. Mr. Specht was courteous, warm, paid attention to detail and exhibited a high degree of professionalism. This letter is to introduce you to Aaron Specht through my eyes, as I came to know him while re-doing my roof in 2010. Our acquaintance was initially made by Aaron's business card, found in my door one day when I returned home from work. My roof was obviously in need of repair, and he was working in the neighborhood. I considered this an answer to a prayer when, though I had tried and failed twice previously, he was able to convince my insurance company's adjuster that the roof damage was tied to several horrible storms (including 2 tornadoes) that had occurred in close proximity to my home within the last year, and got permission for a complete replacement. Here are some examples of the exemplary service he provided. I work business hours and was unable to be there when the adjuster was coming to inspect the roof. Aaron said "no problem: I will take care of that for you" and he did just that by meet the adjuster on his own time, enabling me to continue working. He was with me through all the steps of the approval process, providing me with his personal contact information so I could reach him at any time, day or night with questions. When there were snags in the process with the insurance, Aaron had the answers. I also had some minor interior ceiling damage that was connected to the roof damage. Aaron was able to get the repair for this included in the roofing bid, and arranged for his company to provide a plasterer/painter who did an impeccable job that was absolutely unnoticeable when completed. I was trying to get my house ready to sell at this time, and also needed some flooring replaced due to water damage. Even though this wasn't his division, Aaron when to bat for me once more. This project included multiple trips to suppliers selecting samples to try and match my existing flooring, which he personally brought to my home after hours so I would not be inconvenienced. Also, because I had time constraints and could not wait for the usual production schedule, Aaron arranged for one of his own family members to come and install the flooring on a weekend. Once again, the job was done flawlessly. This above and beyond service, which I was beginning to understand is routine for this young man, enabled me to meet my deadlines and, once again, not have to infringe at all on my work schedule. In closing, from the start to the end of my projects, Aaron was always there for me, looking out for my best interest. As a single woman with no knowledge of construction at all, this was most appreciated. I have never in the past received such consummate service and such excellent results, and will never ask for anyone by Aaron Specht for my roofing/construction needs in the future. I would most heartily suggest that you do the same. You will not be disappointed! Just a quick note to thank you for the help on our roof claim. As you know I was having a hard time with our insurance company. You made things go smoothly and fairly. The outcome of our claim would have been half of what we got. You also picked excellent roofers for the job. Feel free to use us as a reference anytime. Thank you for your excellent services in restoring my roof. The project was done both timely and professionally. Your project management skills throughout the project were excellent. The roofing project was explained in terms that were helpful to me. I would highly recommend Nashville Catastrophe to my family, friends, and neighbors. Thank you again for your excellent services. I am writing this letter of recommendation for Aaron. In May of 2009 Aaron put a roof on my home and he exceeded all of my expectations of a contractor. Aaron was professional and had my best interest pertaining to the roof that would be perfect for my home. Not only did he make sure what type of roof that I needed, but he also handled the insurance company, to make sure they were looking out for my best interest. He personally handled all the insurance formalities with the claims department, in my personal experience with Aaron; he was not just a contractor but someone that cares about his customers. While putting on the roof his workers were consistent while they were at work, all his workers were hard working individuals. The roof was put on and finished in sufficient amount of time. They also had everything picked up and thrown away by the end of the day. We want to thank you and tell the world about you and your company. After a huge hail storm in June, 40 or so of the homes in our subdivision got new roofs through their insurance. So my husband and I, without much knowledge, filed a claim too. State Farm sent an out of state adjuster to our house who said we had no storm damage. We thought just our luck. Every house gets hit with hail except ours. Then several of our neighbors, who were giving you rave reviews, said we needed to talk to you since you are the 'insurance guru'. After about a half an hour discussion and your coaching, we understood the next phase. We spoke to our agent, told her our situation and that we were working with you now and that we wanted a non-interested third party to take a look at our roof. After saying those magic words, our agent said it did not have to go that far, and they would send out a 'staff' adjuster. They did, and you meet with him and got my roof paid for due to hail damage. Your insurance expertise was quite evident and we could not be happier. And you got us new gutters too!! We told all our friends and you will be getting several more projects. You delivered, and what our neighbors said was true...Aaron...you really know your stuff!! To anyone with an open insurance claim or looking to select a roofer/contractor. If you are even thinking about using another company other than Aaron's, you will be taking a huge gamble (have you seen these other roofers?). Stop right now. Aaron and his people have this insurance claim business down pat and their work is great. Our roof looks great, with designer shingles, and the gutters with the protection we wanted works very well. We had a huge rain and the water flowed off our roof into our gutters. Everything happened as promised and we couldn't be happier. Most of the time it is very difficult to find someone who will do home repairs well and promptly. I can, however, personally recommend Nashville Catastrophe Services, who does both. When my roof leaked recently and I called my insurance company to file a claim - in a very short order the adjuster came out and promptly recommended your firm. There was a temporary fix to stop the leak while you were up on the roof to check it out. Within three weeks I had chosen new shingles and the job was completely done. As promised it was completed in one day and all the debris was hauled away that same day. I would not be more satisfied. You have my highest praise for your fine work. We are extremely pleased with our new roof! Aaron kept us fully informed of the project. Everything was started and finished right when he said it would be. The finished product looks beautiful. We were so pleased with the roof we also had him paint our interior. We will be using them again and have recommended him to our friends and family. Thank you for the nice job you did on my house and garage. You worked magic with my insurance company. You have a good install crew working for you. I assure you that I will recommend you to anyone looking for a professional contracting company. Both myself and my wife Nancy wish to express our greatest thanks for the excellent roofing installation at our house. Your entire crew demonstrated the highest level of professionalism. The planning and execution of the job was very evident from protecting the windows, siding, porch, shrubs, to the final cleanup and use of the roller magnet to pick up the fallen nails. The workmanship cannot be matched. The elements of a large steep roof and very high winds did not compromise their efforts. Your crew demonstrated what dignity in craftsmanship is. Many many times dissatisfied customers are made while getting their roofs done, not us!!.. I certainly will recommend you to all my family and friends in the future. Aaron Specht was outstanding. He got over 11k from Allstate for my roof that was only 8k. Who ever heard of a contractor getting you ‘back-paid’ for work you had already done. Usually when it’s too good to be true it is. But in this case, Aaron did everything he said he was going to do, and then delivered. My install was clean and timely; my depreciation check came the day the roof was finished. Very very prompt and professional service. Thanks so much for the great job you and your crew did on my roof. I'm very pleased and have already recommended you to several of my friends. I do like the way you do business and I look forward to working with you and your company again real soon. Thanks again so much. You are a credit to your profession! Exceptional service from start to finish, you worked with my insurance company directly, getting my garage and gutters replaced which the first adjuster missed. You kept us informed. The install was very timely and clean. We have won the ‘green thumb’ award in O’Fallon for several years, so we thought for sure at least some of our landscaping would be damaged. Much to our astonishment, it was not. Truly amazing. As smart consumers, my wife and I thought we should get several bids. We talked to 4 other roofers and we not impressed. When you said, you don’t really give bids and that our cost would be $500.00, we thought it was too good to be true. But after your discussion, you really explained your expertise and we knew we were in good hands. And our entire project, new roof, with great looking dimensional shingles and ridge vent, gutters, and screens only cost us $500.00. And we didn’t pay until you were finished. I have never heard of a contractor not always asking for more funding. Very top shelf operation you run.